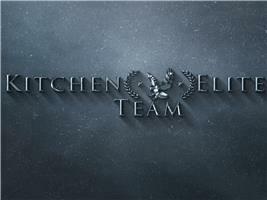 IK Kitchen Elite Ltd - Carpenter, Carpets/Flooring, Kitchens based in Salford, Lancashire. My Name is Kancho Kanchev and I’m proud to be Team Leader of IK Kitchen Elite LTD.
We are a company dedicated in kitchen refurbishment and joinery. We can provide you with modern kitchen design and and excellent kitchen fitting. Taking the work from designing and choosing the right product to meet your expectation. Choosing us not only save's you time and money but guarantee the quality witch you expect from trade professional. Our team has dedicated people to to the right job such as: carpentry, painting, tiling, plumbing, plaster boarding and more. Equipped with the highest range tools we can accomplish the most difficult task with ease. We are recognised with our skills and attitude. If you would like to know what other people say about us just read the reviews posted from client's where we have worked. If you have any questions feel free to get in touch with us.